Germany - Growing demand for more information about the products we buy could mean the end of the simple barcode - the blocks of black and white stripes that adorn most objects for sale and are scanned five billion times a day. First used on a pack of Wrigley’s Juicy Fruit chewing gum in 1974 in a store in Ohio, barcodes have revolutionized the retail world, allowing cashiers to ring up products much faster and more accurately, while also streamlining logistics. But shoppers are now demanding far greater transparency about products, and store owners need more information to help with stock taking, product recalls and to fight fakes. The basic barcode is just not up to the job. That could mean a costly upheaval for retailers and brands to change packaging and invest in new systems and scanners. But it should also bring benefits as more data helps them manage the flow of goods better. “The barcode did a great job, but it is now time for succession,” said Capgemini consultant Kees Jacobs, who is working with the world’s top retailers and food manufacturers to try to agree new global standards for labels and product data. “The current barcode is not sufficient to be the carrier of much more granular information that is needed,” Jacobs said. 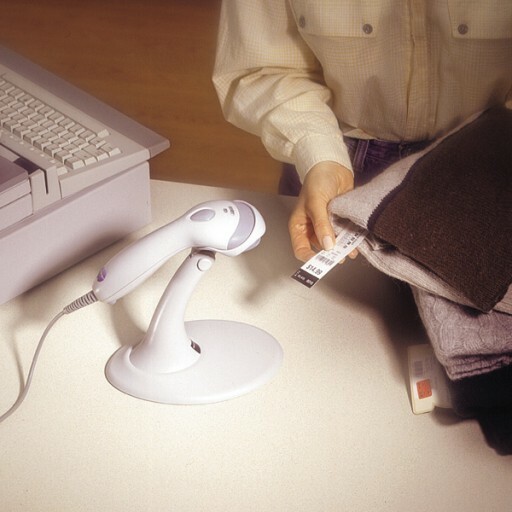 The most ubiquitous barcodes allow an eight to 14 digit number to be read by a laser scanner. For example, barcode 4-003994-111000 identifies a box as being a 375 gram pack of Kellogg’s Corn Flakes. However, that number does not directly capture any other information that might interest a shopper - such as ingredients, allergens or country of origin - nor does it provide a retailer with useful details such as the batch number or sell-by date. That data is usually printed on the pack, but consumers increasingly want to read it online, or with a smartphone app such as one that measures calories. Retailers want data that can be scanned for tasks such as quickly locating faulty goods for recall or about-to-expire products for mark downs. GS1, the non-profit organization that assigns the unique numbers in barcodes, has developed a double-layered barcode it calls the “data bar” which can carry some extra details such as expiry date, quantity, batch or lot number. That has allowed German retailer Metro (MEOG.DE) to launch PRO Trace, a smartphone app that shows, for example, that a filet of salmon on sale at a store in Berlin on Aug. 25 was caught at the Bremnes Seashore fish farm off the coast of Norway on Aug. 17 and processed in Germany on Aug. 21. The app also displays a map highlighting the fishing area of the catch and a detailed description of the Atlantic salmon. Metro says the app helps customers at its cash-and-carry stores such as professional chefs from hotels and restaurants, as they can now embellish their menus with information about the exact origin of pricey delicacies such as wagyu beef. “We are the only ones in Germany that can do this for fresh fish. It’s about trust. Our customers challenge us to offer sustainable and safe products,” said Lena vom Stein, a corporate responsibility project manager at Metro. Metro set up the tracking scheme to help it comply with European Union regulations aimed at stemming overfishing and started making the data available to customers in 2012. It now extends to meat, and fresh fruit and vegetables will follow. Other retailers are also opening up, often supplementing the barcode with a pixilated square known as a quick response (QR) code. It can store dozens more data points and can be scanned by a smartphone camera to lead to a web page, but can still not be read by the majority of store scanners. Dutch retailer Albert Heijn (AHLN.AS) recently introduced “Check Origin” QR labels on locally-grown radishes and blueberries. Scan the sticker on a mobile phone and it plays a film that rewinds to show the journey from the shelf back to the packing factory, then back to the farmer’s field. Such tools are likely to fuel demands for more transparency. A GS1 survey found consumers are most interested in nutritional and ingredient information, details on allergens, organic certification, environmental impact and ethical standards. Making such a wealth of data accessible via codes that can be scanned is only part of the problem. A bigger challenge is gathering, storing and standardizing the information in the first place. Fiona Wheatley, sustainable development manager at British retailer Marks and Spencer (MKS.L), says keeping tabs on all the company’s suppliers can be a daunting task. “Your ability to give your customers more confidence that they can rely upon is proving to be increasingly challenging,” she said, adding that M&S relies on certification schemes such as Fairtrade to help audit smallholder farmers. The Consumer Goods Forum (CGF), a global network of some 400 retailers and manufacturers from 70 countries, is coordinating efforts to harmonize product data and labeling. Most firms accept that more transparency is needed after scares such as the 2013 scandal about horsemeat being sold as beef in Europe, but it is still proving hard to persuade them to share data that many see as commercially sensitive. Capgemini’s Jacobs, who is working on the CGF project, hopes pilot schemes to standardize digital information, like one between rival retailers in Belgium including Delhaize (DELB.BR), Carrefour (CARR.PA) and Colruyt (COLR.BR), could be the precursors to new global data standards. GS1 already holds data from 30,000 companies on some 18 million products that its industry members share with each other behind the scenes to smooth logistics. It is trying to persuade its members to let consumers access more of this information, while keeping some of it confidential, such as detailed pricing and stock levels. Malcolm Bowden, president of global solutions at GS1, predicts agreement could come quickest - within a year - on sharing nutrition data as there are already broadly accepted standards, and calorie and allergen apps are proliferating. “The will is there. It has to happen. Like any major change, big companies have to have time to think through the implications,” he said. GS1 is also working to create identifier numbers for individual farms and is trying to harmonize standards on sustainability data, such as a measure of water efficiency for detergents and washing powders currently being piloted. But making such a wealth of data available will sound the death knell for the barcode. Only a QR code can carry that much information without taking up too much space on packaging. Longer term, more products could carry wireless tags such as the RFID labels that are being widely rolled out across the fashion industry. These tiny tags, which can be embedded in an object and, unlike a barcode or QR code, do not need to be within the line of the sight of a reader, were long too expensive for everyday goods but their price is falling fast. Bowden predicts different systems will probably have to coexist for the next decade or so as retailers and logistics providers gradually upgrade their scanning systems. “I am convinced we will have a day where pretty much all information about all products will be available to all consumers,” he said.